Themes are licensed to use for a single store only. You are free to transfer a Theme to a second one of your own stores if you close your first store. You are not permitted to transfer or sell a Theme to any other person’s store on Shopify or elsewhere. You may modify the Theme to suit your store. Shopify may add or modify the footer that refers to Shopify at its discretion. 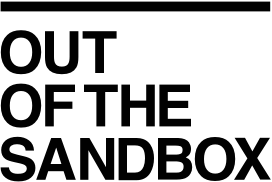 The intellectual property rights of the Theme remain the property of Out of the Sandbox Inc. If you have just opened a new storefront and you're looking to migrate your theme, we've got you covered with our easy migration guide. Please head to your storefront and head into the "Themes" section, here, you can click the "Actions" button and select "Download theme file". After you have been prompted, a copy of your theme file will be sent to your account email address located in your Settings > General tab in Shopify. Please head into your emails inbox to locate your theme file, here, you can download your zipped theme folder and place it somewhere safe. Please head to your new storefront and head into the "Themes" section, here, you can click "Upload theme" and select the theme file you have downloaded from your email. Once this step has been completed, your theme will become accessible in your new storefront in an unpublished state. You can then publish your theme when you are ready to go live! Congratulations, you have just transferred themes!